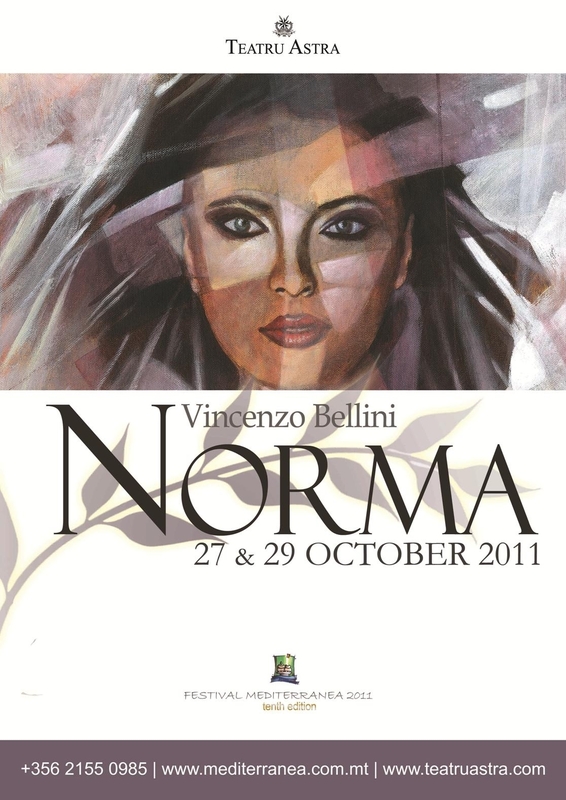 Vincenzo Bellini's NORMA takes pride of place in the forthcoming tenth edition of FESTIVAL MEDITERRANEA, with a double representation at the Astra in Victoria - on Thursday 27 and on Saturday 29 October. Both representations start at 19.30hrs.The Malta Philharmonic Orchestra, the Teatru Astra Opera Chorus will feature. Read further recent news on Norma uploaded in the News section of the website. Booking for NORMA is open on.